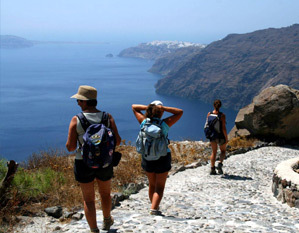 Tailored Trekking and Outdoor Recreation for those who want a better view of the old and traditional side of Santorini. Available only on request, with our own guide, holding an extensive background knowledge of the island. 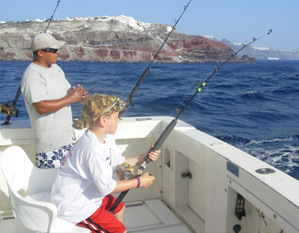 For groups but also individuals who want to see what the deep waters of Santorini hold for them. 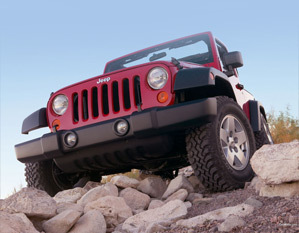 A fishing trip requires an early start of the day, so be prepared. No experience required, in fact the only thing required is appetite for adventure and.... sea food! Take a tour of the traditional side of Santorini, the traditional way. 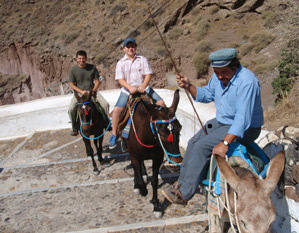 Ride a donkey all the way up to ancient Thera and relive the ways of the old. 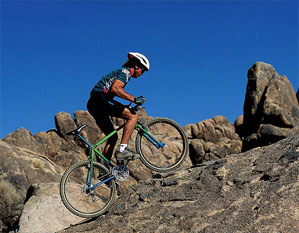 No previous experience required and our guide will be with you all the way. Local area code "22860", must be dialed first at all times (e.g. 2286012345).